Grouping together to purchase Ripple company stock? I also think he's wrong about how important liquidity is. There are so many corridors that are so inefficient that there's a huge space to dominate before even the existing liquidity becomes insufficient. He concedes that we can spend money to build liquidity but he worries that that will eventually run out. Well nobody's spending money to build bitcoin liquidity and yet it's growing. How does he explain that? You know what really creates liquidity? Demand for liquidity. There are a few technical errors, but I think the key thing is to look at his thesis. He seems to concede that Ripple is building a better payments system that banks will use. That will mean huge volumes of payments on the network. And he doesn't see any technical obstacles to XRP being used as an intermediary asset. Nevertheless, he's arguing that despite being able to build massive payments volume, having influence over almost every aspect of the system, with a phenomenal team, a warchest with a notional value in the tens of billions, and every incentive to make it happen, we still won't be able to get XRP to be used as a settlement asset. Why? Because it will magically happen for BTC all by itself. That will do the same thing if no seed is supplied on the command line. You've just removed the ability to specify the seed. I like having that because it enables me to confirm that I've written down a seed correctly by specifying it on the command line and seeing if I get the correct address back. We have payment channels that provide support for off chain scaling. We have escrow for atomic swaps. As for the 1,500 transactions per second, we are always working on throughput and performance improvements. We have a lot of cool stuff that we're working on. I don't know anything at all about that transaction. I haven't even read the article, though I probably will now. I don't think it's absurd. I think a crash is possible and I always advise people that they are dealing with assets that are volatile and whose value is largely based on speculation and sentiments that can change unpredictably. There are also systemic risks from things like government crackdowns. That said, I don't think anyone can predict a crash with any sort of confidence and most of their so-called predictions are really explanations recast as predictions (or predictions with open time windows), which is not legitimate. No. The escrow problem was just a defect in the transactions we used and we issued new transactions to fix it. The upgrade to 0.80.2 fixes a different bug having to do with receiving a transaction from a peer that you have already received. A fix for a previous bug that would cause the transaction to be aggressively suppressed caused a chain reaction that resulted in network instability. Rippled uses a structure called the "HashRouter" to track objects it has received from peers. When it receives an object that it needs to share (such as a transaction or a validation) it dispatches it to be checked for validity. While it's being checked, the HashRouter ensures that it's only checked once and also keeps track of any additional peers we receive that same object from. If we do decide to relay it, the HashRouter tells us which peers we have not received it from and relays it to just those. If the object is invalid, we punish the peer that made us dispatch it. If it's valid, we reward the peer that gave it to us first. Duplicates of recent objects are just ignored -- if they're bad, we already punished someone, and if they're good, they just gave them to us late and that's okay. The HashRouter has a five minute entry expiration to keep it from tracking more and more objects as time goes by. This time can be extended if an object is received again. For everything but transactions, this is great. You would never want to process something like a proposal or validation more than once -- it's only useful to the server if it's fresh. Not so for transactions. A transaction may be invalid now but the exact same transaction valid three minutes later, for example, if the account issuing the transaction is created on the ledger. We used to just use the same HashRouter logic for transactions, and this made it hard to "resurrect" a transaction like this. The fix for this problem resulted in a new problem -- excessive dispatching of identical transactions close in time. This not only filled the transaction dispatch queue (resulting in dropped transactions) but, worse, it caused excessive peer punishment for sending invalid transactions. (If we dispatch it and then discover it's a duplicate, we punish the peer because if it's a duplicate and not recent, the peer should not have sent it to us. But it was recent, we just didn't realize it.) Long story short, the fix is to suppress dispatching transactions received from peers if, and only if, they haven't been dispatched in the last ten seconds. The only change (other than to change the version number) is this one. The change information is here: https://github.com/ripple/rippled/commit/fbfb4bd74ecfffcf3d77f28aade0b0fcebeebcbb There are also some tuning changes to improve network stability given the higher volume we've seen recently and a change to reduce resource consumption. There are no changes to any ledger or transaction behavior other than the dispatch change. If others created escrows intended to be used as time locks that set the release time in the "CancelAfter" field but have no "FinishAfter" or "Condition" field set, they will have the same issue. When I get a chance, I'll search the entire ledger for any such escrows and post a list. Yes, except I wouldn't call it a backdoor. It's a consequence of the documented behavior of the escrow feature. That's why we replaced them with new escrows that have no way to release XRP early. They used to return these to sender automatically. But their support should be able to fix it for you .. at least eventually. 1 and 2 are non-issues for people who know what they're doing. The only thing which, if true, would shake the foundations of these systems is 3. And there's a very, very good reason to think it's not three -- despite the fact that finding such a collision would bring instant fame, nobody has yet produced such a collision. There is no known account for which there are two private keys. Until such time as someone presents such a collision or any good reason to think that they're more likely than we expect, there's absolutely no rational reason to worry about this particular attack. We have a safety factor of several orders of magnitude and we are only relying on a well-documented property of the hashing algorithm. What impact would a Ripple takeover have on XRP price? You have to remember, the vast majority of Ripple's value comes from the XRP we hold. So any deal that didn't have a central place for XRP just wouldn't make sense. You'd have to imagine some scenario where the combined company could better execute on some XRP strategy than Ripple could alone. Personally, I can't think of one, but that might be due to lack of imagination. If you're not getting the XRP strategy and upside, what are you acquiring Ripple for? The team? The team is great, of course, but since the team could leave if there was a pivot away from XRP, I don't see it being worth the $1.5 billion or more it would take. That said, possible mergers/acquisitions are one of the few things that would be kept very, very quiet. And since I'm not on the Board any more, I wouldn't have any advance notice. So, for all I know, such a deal could be in the works right now. Ripple Stock Anomaly : is $1.6B Valuation a fair price? I don't know who is selling Ripple shares, but I suspect that sellers likely fall into three categories: 1) Early investors who are anxious to have a materialized profit on their records. Some of our investors put their money in three years ago and would like to demonstrate a cash profit on their balance sheets to help build the case that they should have larger funds investing in the space. 2) Former employees who can't afford to exercise their shares and hold them. When you leave the company, you have a limited time to exercise your vested shares or you forfeit them. This can be expensive, and there's no guarantee you'll ever be able to sell the shares. It might make sense to sell a percentage of your shares to help cover your cost of exercising the shares which can be hundreds of thousands of dollars. 3) Former or current employees who are trying to minimize risk because all their eggs are in one basket. It's kind of hilarious that the primary source of their bearishness is actually our biggest feature -- you can use the system and still get benefits even if there's no XRP liquidity, but if there is, you get even more benefits. The numbers given in the first post are roughly accurate. The upside of shares over XRP: Ripple might earn revenue from sources other than XRP and you might get a share of that. The price of shares of Ripple is low compared to the value of the proportional share of Ripple's XRP. You become a shareholder of Ripple with particular legal rights. Even if Ripple fails in the payments arena, if XRP succeeds anyhow, you could still benefit because Ripple holds so much XRP. It's an illiquid asset, so it's possible it's very underpriced. The upside of XRP over shares: You can buy or sell with more flexibility as to time and price, adjusting your position as you see fit. It's not clear how much of the value of the XRP Ripple holders will materialize as shareholder value. If people think such a high discount to XRP's value is applicable to the shares now, they may continue to do so when you want to sell. It's a more liquid asset than Ripple shares, so it's less likely to be very overpriced. Summarizing them, the main issue is just that it's very hard to know what a share of Ripple stock should really be worth. There's minimal market price discovery and so many unknowns. The shares aren't very liquid, so you can't adjust your position if you change your mind. But if you're bullish on both XRP and Ripple over the long term and can qualify as a qualified investor, it's worth thinking about. CAUTION: This is not anything specific about Ripple. But this is a general caution I always give people considering trading shares in a non-public company on a secondary market. There is a good chance that the person on the other side of the trade has inside information about the company that you don't. You will have to sign a form indicating that you accept this risk and as a sophisticated investor, you are presumed to know what you are doing. 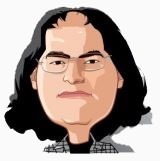 "There is clear manipulation to keep XRP under 0.30, and there is obviously new XRP coming into circulation monthly form the company selling it off, but how much XRP have they sold to banks, and not speculators and traders like us?" I'm not sure why you say there's clear manipulation. Do you think Ripple wants the price of XRP to be under 30 cents? A higher price for XRP means we make more money selling XRP if nothing else. Also, are you claiming that Ripple selling XRP to banks is somehow a bad thing? Aren't they the least likely to put that XRP back into circulation and don't they have the most potential to drive demand? I'm already working on the XRP $100 party. Helicopters will take everyone to the private island: https://www.privateislandsonline.com/united-states/florida/pumpkin-key We'll have helicopter service to and from the island during the party. At the end of the party, we will have a drawing, and the winner will get to keep the island. Why not require people to carry transparent wallets in plain view too? Ripple: "The fundamental value of XRP"
A higher price tends to correlate with more liquidity. It's not really a direct cause and effect relationship, but they tend to move in tandem. The ideal situation for Ripple would be an increasing price over the long term with few downward spikes. This would increase Ripple's value and revenue which not only makes Ripple's stockholders and Board of Directors happy but also increase Ripple's ability to deploy resources to incentivize partnerships and build the ecosystem. This would also reduce the cost of holding XRP. If the upside is worth more than the downside, FIs can hold XRP and give someone else both the upside and the downside of the volatility, giving them zero holding cost. This could lead to tremendously increased demand if Ripple is successful in promoting XRP as a vehicle currency. Imagine if XRP is an intermediary for payments in many different corridors and the cost of holding XRP is zero or negative. Now, companies like AirBNB, Uber, and Amazon can make international payments as follows: 1) They receive assets all over the world. 2) When people need to make payments into places where they have assets, the provide the fiat currency and take the XRP. This lets them buy XRP at zero or negative cost because they are being paid by whoever is making the payment. 3) When they need to make payments, they only have to do half the payment because they already hold XRP, the preferred intermediary payment. So they would only pay about half the normal cost. This is kind of my dream scenario for XRP. Companies that have to make payments around the world buy XRP at below market by facilitating other people's payments and use their XRP to make payments at below market because they only have to pay for the "from XRP" half. All those piles of XRP people are holding increase demand, increasing price, reducing the holding cost of XRP to zero or negative. You can also imagine traders doing the same thing. They hold piles of XRP because this lets them be opportunistic and take other assets that people are trying to make payments with since they'll need XRP to buy the asset they're trying to deliver. Whether it will happen is, of course, certainly not guaranteed. But Ripple's preferred price of XRP is as high as possible, preferably increasing, so long as sharp and/or steep drops are minimized.